Welcome to Discount Direct Metal Roofing-Manufacturer of metal roofing panels and accessories. 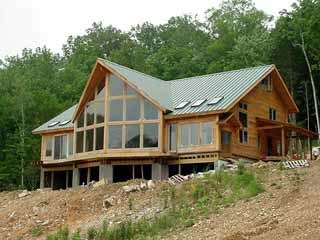 Welcome to Discount Direct Metal Roofing. 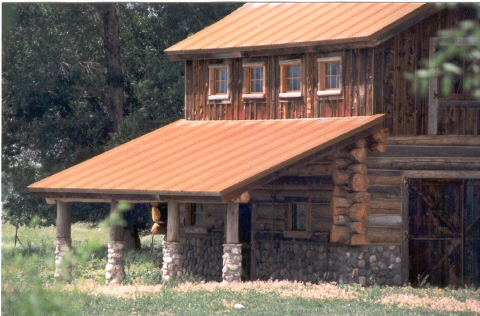 We are a company that manufactures metal roofing panels, trim, and accessories. Our products comply with the Florida State Code, Section 1507 regarding Quality Assurance. We acquired our certification from Keystone Certifications, Inc. licensee #234 and our Florida approval number is #FL4541. 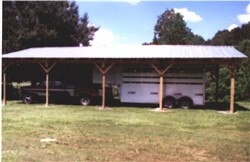 Our warehouse is located in Jacksonville, Florida and we serve Southern Georgia, Northeast, Central and South Florida. Sorry we do not ship our panels. We are a newly formed company, founded on the need for a direct supplier of metal roofing materials in the Jacksonville area. Our services include, custom trim and bending, panels cut to size, insulation materials, special orders and providing the fasteners and general knowledge to enable our customers to have a quality metal roof for a discount price. To view the colors we currently stock, click here. Metal roofing has an established track record in new construction where it has been used in some 50% of all low-rise commercial and industrial buildings erected in the last several years. This acceptance has carried over to the re-roofing market where metal roofing has been used successfully as a replacement for built-up and single ply systems. Leading applications for metal roofs in the retro-fit market are homes, mobile homes, schools, commercial buildings, and military facilities. Our panels and trim are made of top quality stock from brand manufactures and never seconds. All have a 20 or 25 year manufacturer warranty. If they don't stand behind it, we don't sell it...it's as simple as that. Our name is on every panel we manufacture and our word is, "We make a quality product that meets or exceeds industry standards." If that is ever not the case, we will replace any material not up to those standards.